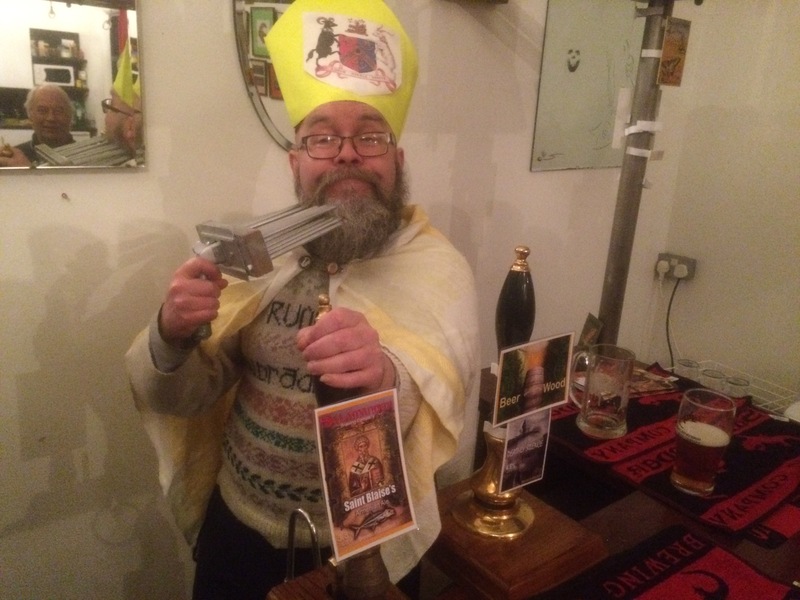 A pretend St. Blaise and woolcomb at Salamander Brewery, their St. Blaise Armenian Ale | The Glyn Watkins Show Page. ← Bradford Review interview with Glyn Watkins about the Bring Back St. Blaise’s Festival. Page 20.